Jurgen started out as a model with me, having his photo portfolio done by me and learning from me. He became a top photo/fashion model in the German industry. 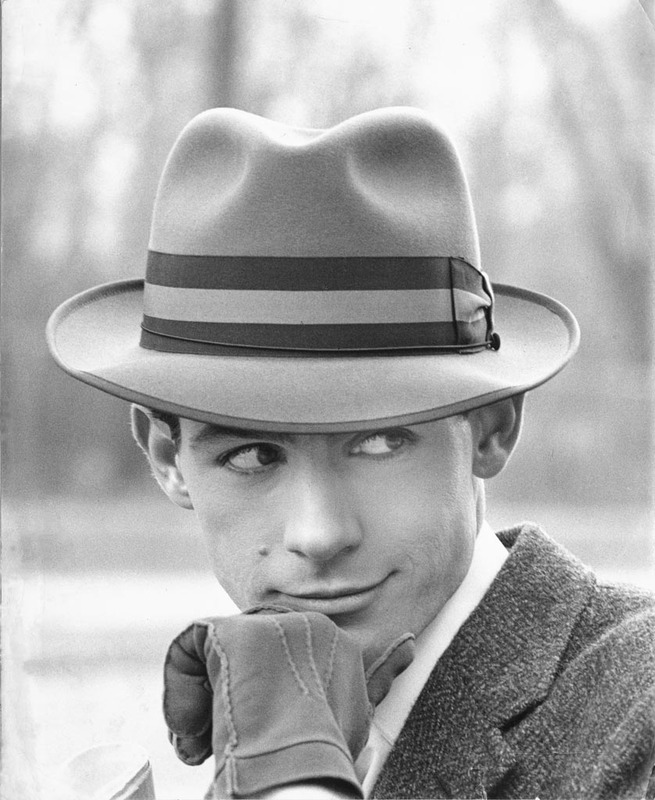 Needless to say, a simple, correct, perfect hat photo is one of the really difficult fashion photos to make. It was easy with Jurgen, who was a "natural" at modeling. This is scanned from a print. The slight tonal degradation on the left lower side was from some damage to the copy that was somewhat touched up. It did not affect the model's image or the rest of the photo.